This up and coming small city close by to Phoenix shares all of the state capital’s advantages but trumps even that city in terms of its liveability and sheer trendiness. This is a happening place - and this is reflected in the best places to stay in Scottsdale. Described by the New York Times newspaper as a “a desert version of Miami’s South Beach” and famous for its “late night partying and buzzing hotel scene”, Scottsdale's slogan is “The West’s Most Western Town.” The irony is that the city was named after the army chaplain Winifield Scott who founded it in the 1880s! The Saguaro offers super-bright colours and Mexican design touches. Located where the Arts District meets the Civic Center Mall, this place has a fresh, youthful vibe, and great amenities. And it's great value too! Four Seasons Scottsdale is a beautiful resort in the high Sonoran Desert. A super luxurious offering, nestled into the foothills of Pinnacle Peak, and surrounded by hundreds of iconic saguaro multi-armed cacti. This stunningly designed resort hotel is Western-style luxury and super-attentive service taken to new heights. Nothing here that fits the bill? Then widen your search and check out our pick of the best places to stay in Arizona or contact one of our friendly gurus for advice. 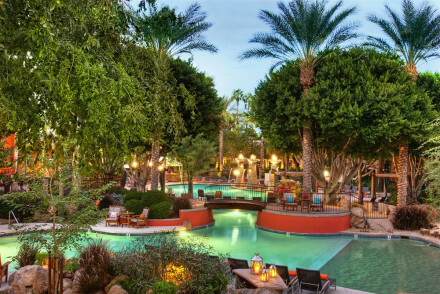 A trendy spa resort just outside Old Town Scottsdale, Arizona. Rooms are extremely comfortable, understated and elegant. The designer pool areas comes complete with sandy beach and bar. Free use of luxurious on-site spa and yoga classes ensure you will unwind in style. Modern hotel in Scottsdale boasting two picturesque outdoor swimming pools, a spa offering desert-inspired treatments, and a delicious Mexican restaurant. The rooms are bright and colourful, and feature a balcony with pool or city views. The bar serves over 100 whiskeys and there are poolside DJs. 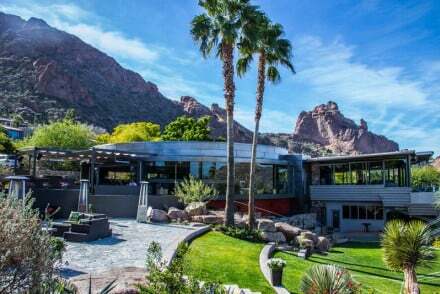 The ultimate luxury resort, overlooking the spectacular Paradise Valley and Camelback Mountain. The elegant and opulent rooms range from suites, to casitas, to private villas. Elements restaurant is truly an unbeatable experience. Chic, sophisticated and unique. Sights nearby - Canyon Lake, Grand Canyon and Sedona and Oak Creek Canyon are all within reach. Great walks - The Apache Trail travels past the majestic Superstition Mountains. 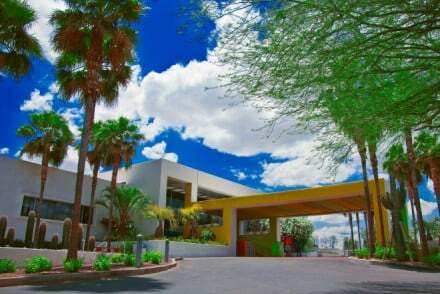 The lively Hotel Valley Ho is located just five minutes from Old Town Scottsdale. The quirky and colourful contemporary accommodation comes complete with king-sized beds. Head to the ZuZu Lounge and indulge in traditional American cuisine! With suites available, it's a great fun family spot. City Style - With its 60 plus years as a weekend retreat for the Hollywood jet set, this hotel oozes Fifties glamour! 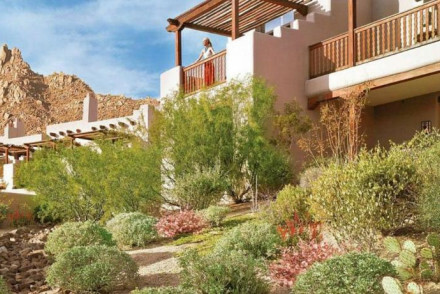 This Arizona desert setting features two pools, spa, fitness and business facilities. Cream linens, wood furnishings and private balconies in each room as well as all the mod-cons. 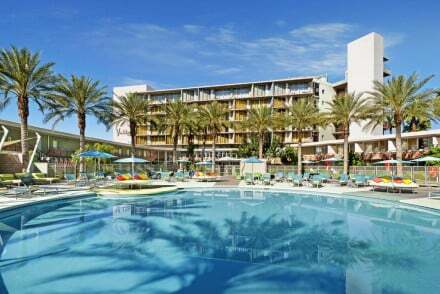 Saguaro Blossom is poolside and Talavera is steakhouse inspired. Head to Onxy Bar and Lounge for cocktails. Hideaway - Perfect hideaway location for couples and families that want a week to remember. Local markets - McCormick-Stillman Railroad Park is great for all the family. 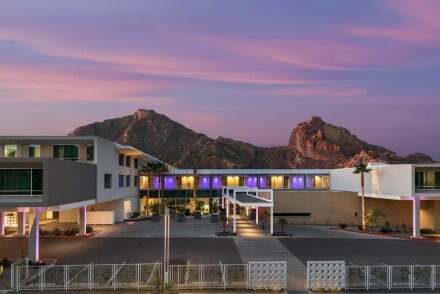 A fabulous reinvention of a 1950's destination for the stars, this modern-luxe resort brings Camelback Mountain to life. Ultra modern rooms offer plush bedding, cocktail carts and floor to ceiling windows with spectacular views. The open-air bar and restaurant comes complete with two pools.